Enhancing UX was the job. Improving the lives of children was the reward. 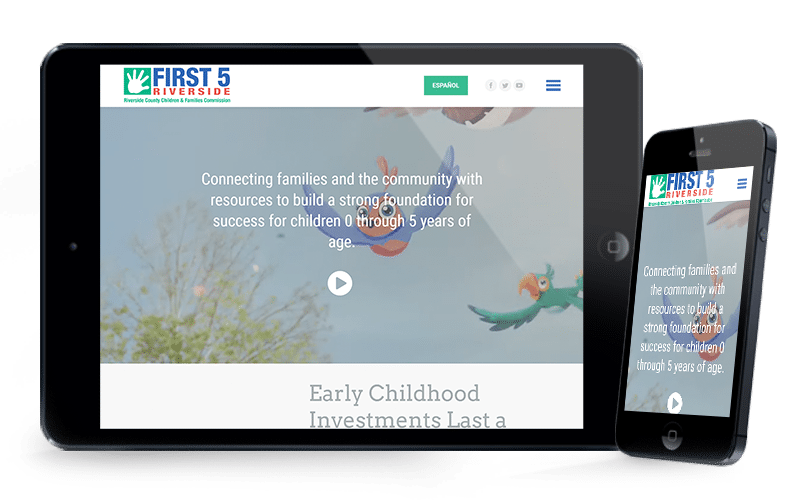 First 5 of Riverside County provides children ages 0-5 with the education and resources they need to flourish during their most impressionable years. Improve overall design aesthetics and functionality. Enhance their website’s UX Design (User Experience). Create logical hierarchy for web content. Incorporate social media and enhanced communications. Update the site to modern standards (mobile-friendly). 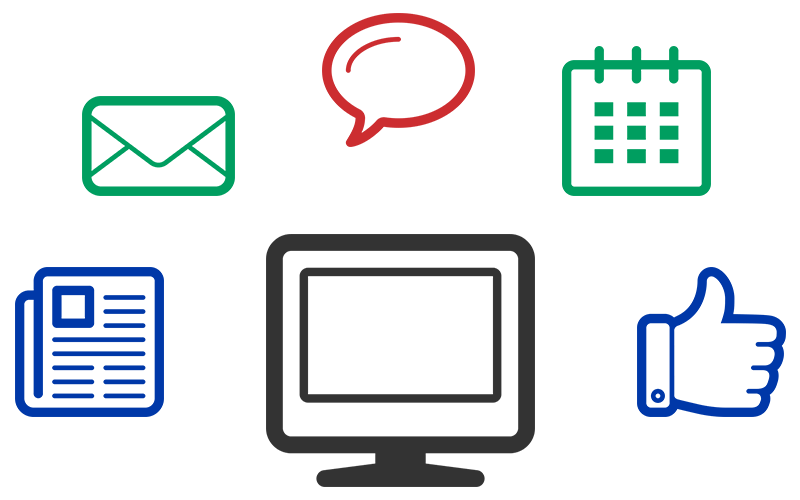 Develop a user-friendly dashboard for client updates. Butler conducted a single-day UX Strategy workshop with the First 5 leadership team to learn their industry, define their brand, understand their users and prioritize their content. 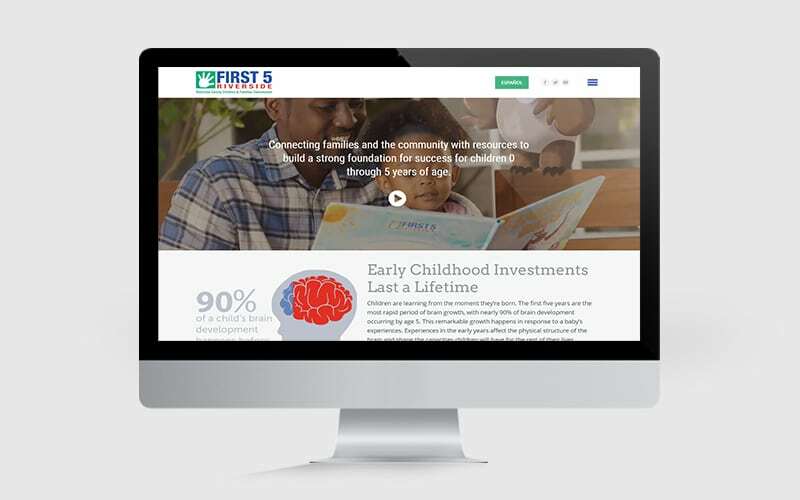 By conducting both a competitive analysis and comprehensive brand audit, we were able to identify several areas for improvement, leading to a complete overhaul of First 5’s website. Changes in technology, as well as changes in First 5’s services and programs, demanded an update. 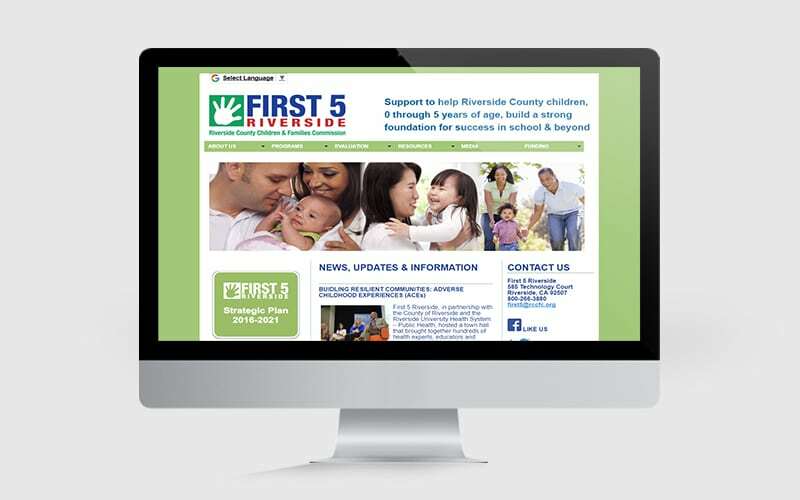 Due to the wide range of services they offer and people they serve, First 5 Riverside’s website is a hub for loads of content. We simplified its navigation, guiding users to the content they needed as quickly as possible. The updated website now features simple, visual navigation, as well as responsive design for mobile visitors. 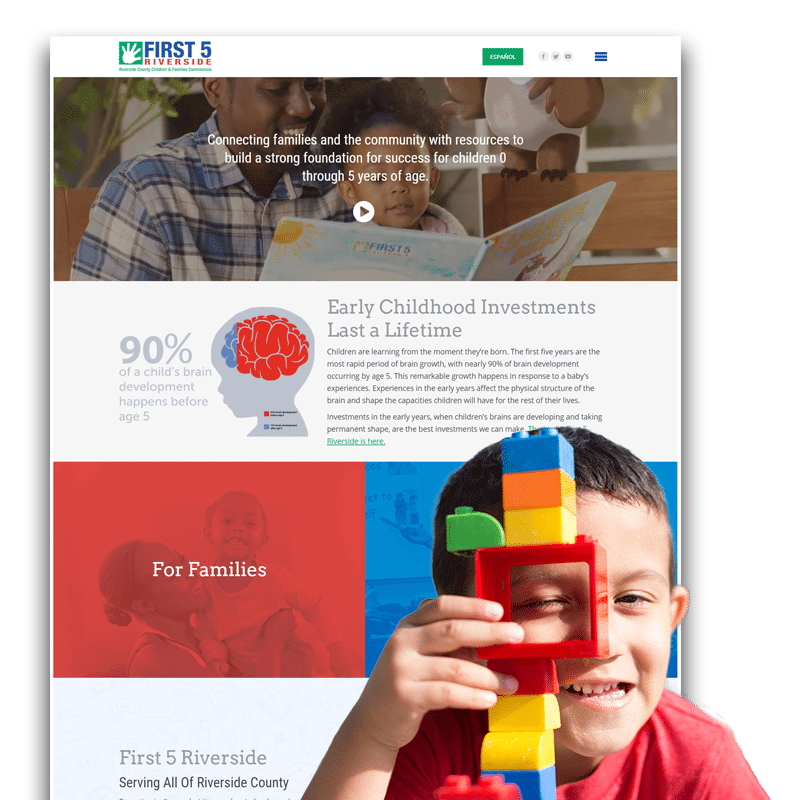 The new First 5 website also features social media and email communications integration, an updated event calendar, a Community Updates section and a Spanish version of the website for our Spanish-speaking community.